One of the most popular sections for sheep has also seen dramatic growth over the years. When the first classes were held in 1982, there were just 40 entries. The enthusiastic leadership of David Manning, who was head sheep steward for a number of years, coincided with the major increase in entries. 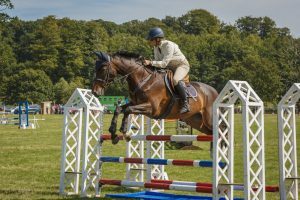 Over the past 45 years, numbers have increased ten-fold – boosted by support for new breed classes, and especially more recently the commercial classes. The introduction of classes for young handlers has also again proved hugely popular, as have been those for sheepdogs too. But the key element of the show’s sheep section remains the friendly nature of competition. 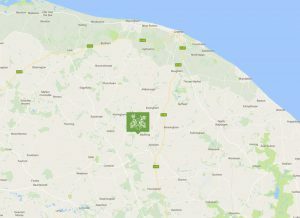 And so many successful exhibitors took their first steps at Blickling, learned their craft and thereby encouraged others to follow their example. 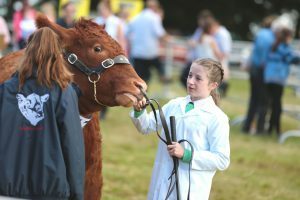 The strength of competition for the inter-breed champion group of three – awarded in memory of Liz Adler, of Tuttington – is testament to the enduring enthusiasm of so many supporters of the show. 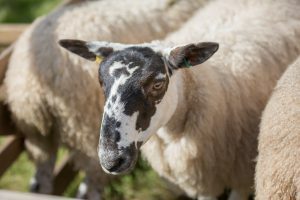 Again, the sheep section has always been prepared to innovate and pure native breed classes for Suffolks were always well-subscribed. 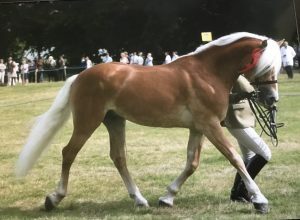 Then as other breeds became popular – especially rare, hill and primitive types, show organisers were quick to respond to the demand for new classes. 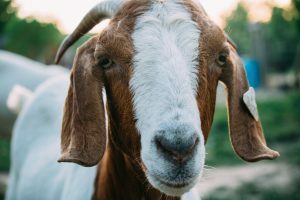 For a complete list of cups and trophies for sheep and other competitions at the Show, click here.